The trial has been cancelled. 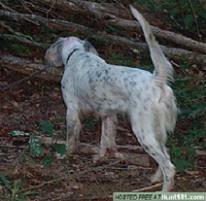 There will be a Llewellin Setter trial December 12-13, 2015 at Cedar Creek Sportsman"s Club in Stanford, KY. 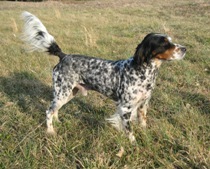 This trial will be for American Field (FDSB) registered Llewellin Setters only and will be run under United Field Trial Association rules, but will not be a sanctioned UFTA trial. I will be posting additional info later or you may contact me for more info at the email address below. Last edited by bphelps56 on Wed Nov 25, 2015 5:41 am, edited 3 times in total. Not enough Llew guys already in UFTA to sanction? Will the NLGDC recognize placements? UFTA will not allow a sanctioned trial to be limited to only one breed of dog and the NLGDC will not recognize placements in a trial run under UFTA rules.